Home is located on Caney creek with a lighted fishing pier. 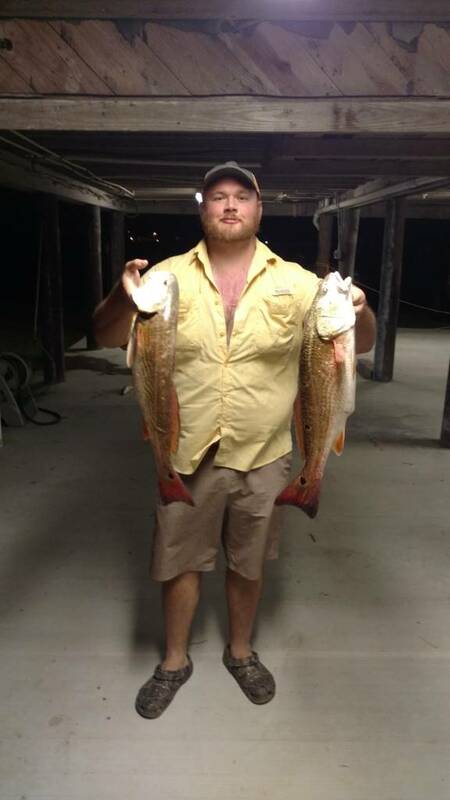 We've caught just about everything off of the pier and the spec fishing can be great at night. We launch kayaks out of the yard and do well in the creek as well. Multiple free places to launch that make a decision paddle to East Bay or launch right into the cut. Last edited by SCREAMINREELS on Tue Jul 11, 2017 11:17 pm, edited 1 time in total. Cool. Ill take a look. How did your home hold up to Harvey ? Can you share any photos of the area ? pdmarty wrote: How did your home hold up to Harvey ? Can you share any photos of the area ? Yeah, I would like some too. Thanks! Sorry guys I forget to check in on this post...house held up great. All the grass diet from saltwater but has since grown back.